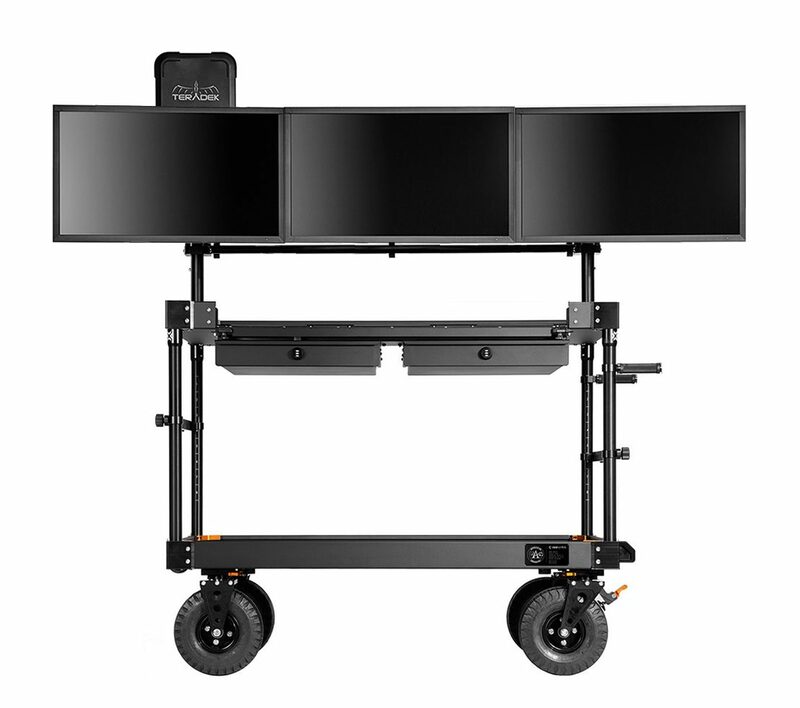 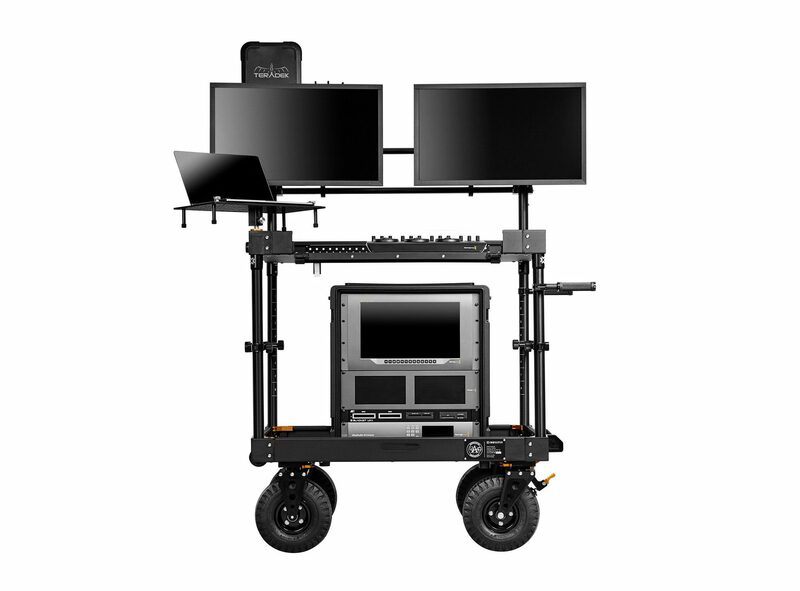 The Insight System is designed to work with INOVATIV’s proprietary Pro Ultra Monitor Arms. 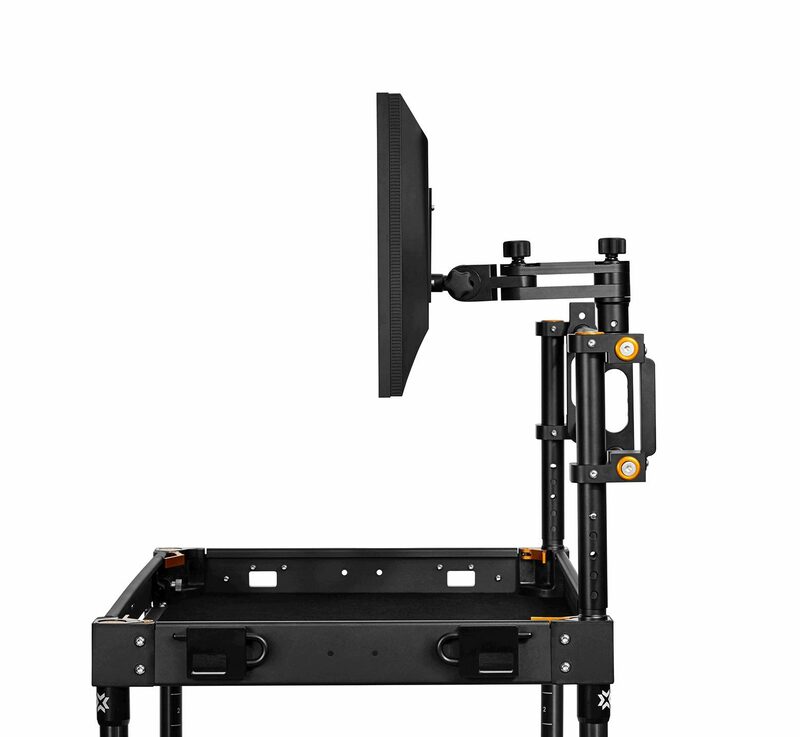 Our Pro Ultra Monitor Arms allow one to adjust the monitor to the ideal height for your viewing while standing or sitting. 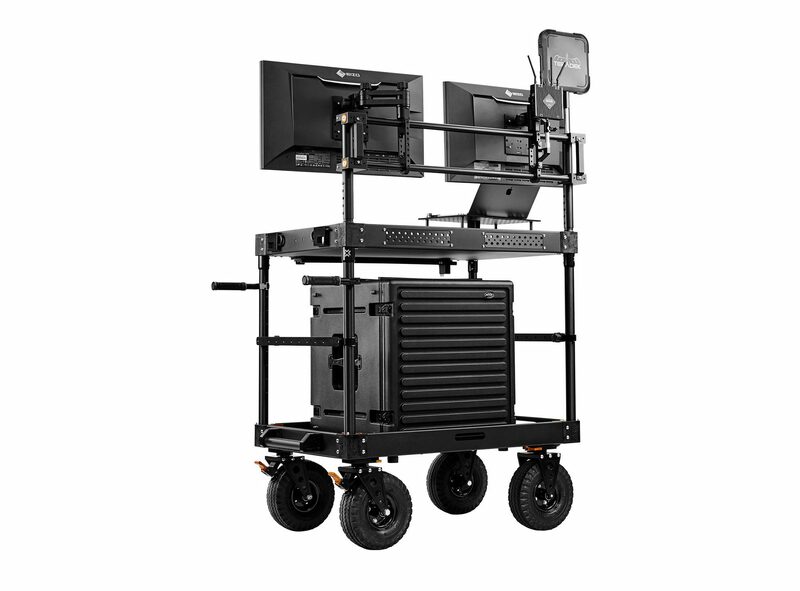 Capable of mounting any monitor with a VESA mounting pattern. 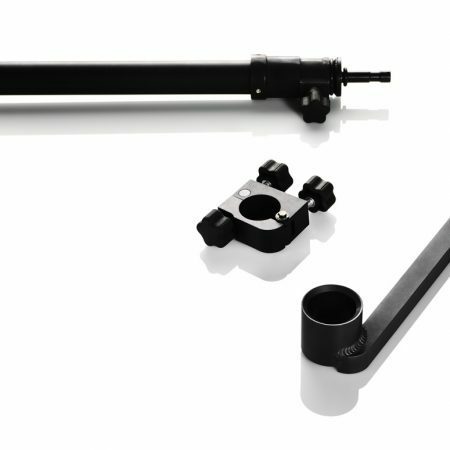 The Pro Ultra Arm has 10” of extendable reach along with 60 points of adjustable swing. The fully lockable articulator arm prevents monitor swinging or rattling when moving your cart during filming or during transportation. 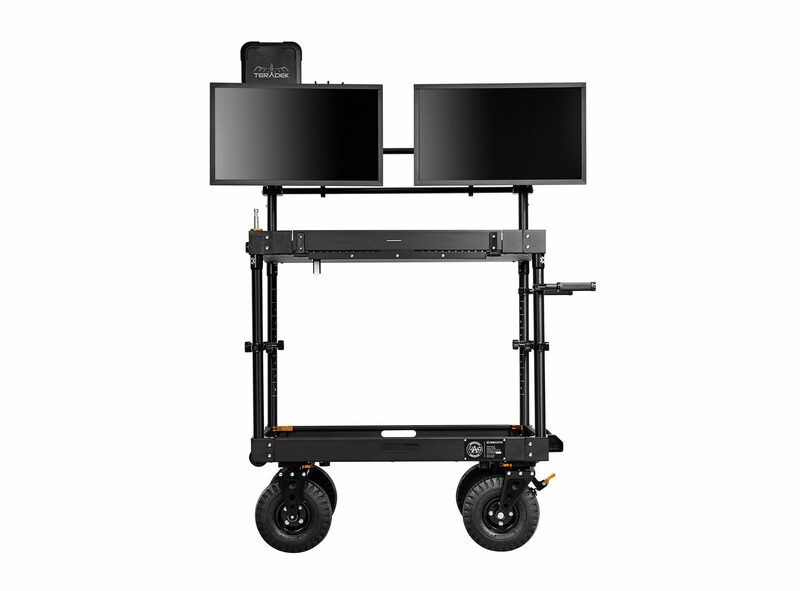 360° Monitor Rotation: Allows landscape and portrait viewing (hard lock every 90 degrees). 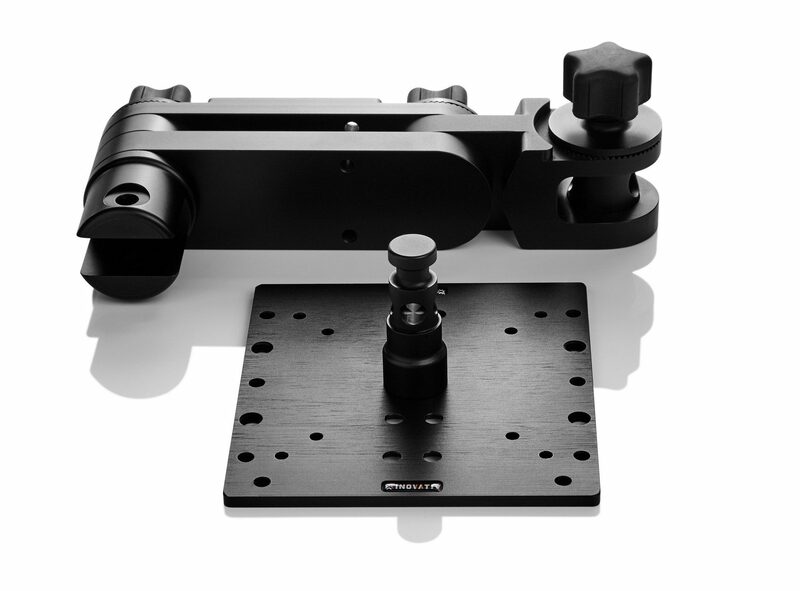 Locking Pan: Rosette mounts allow 60 point panning positions. 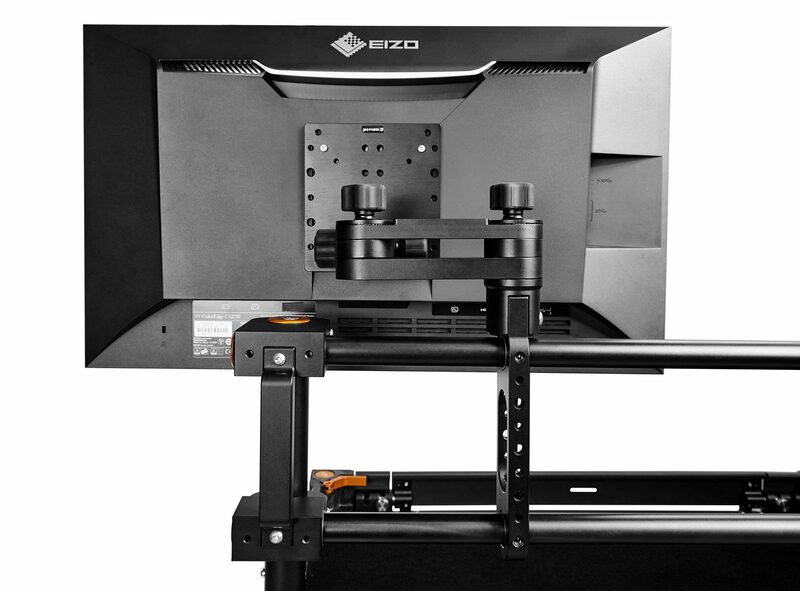 Screen Tilt: Adjustable screen tilt 90 degrees down and 90 degrees up (limited by the size of the monitor). 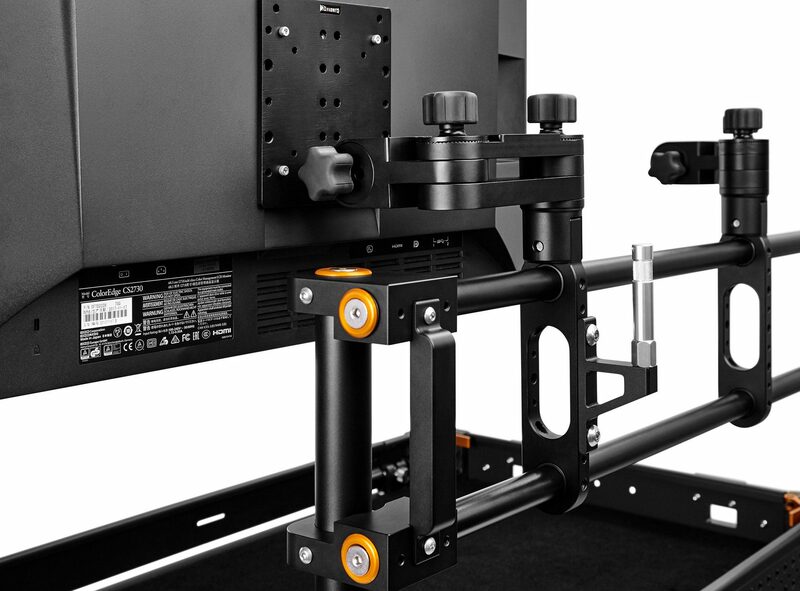 Monitor Extension: 10 inches of extendable reach. 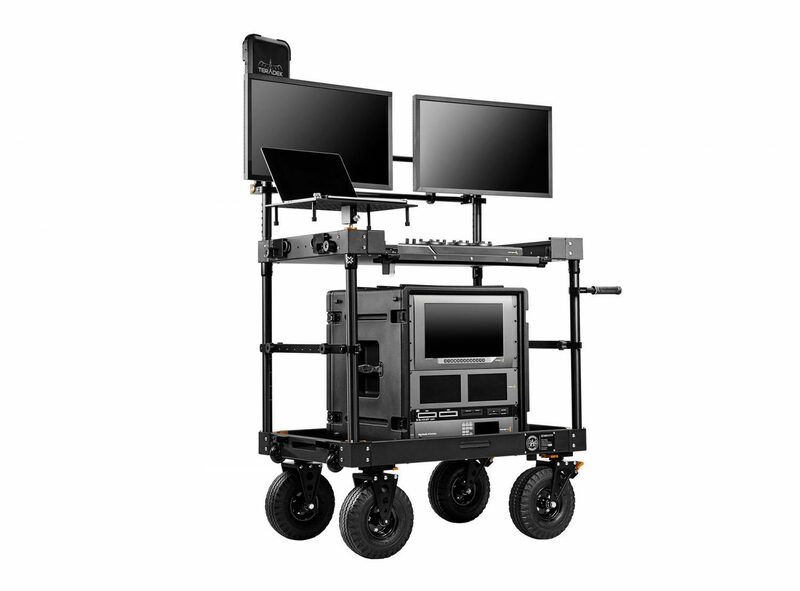 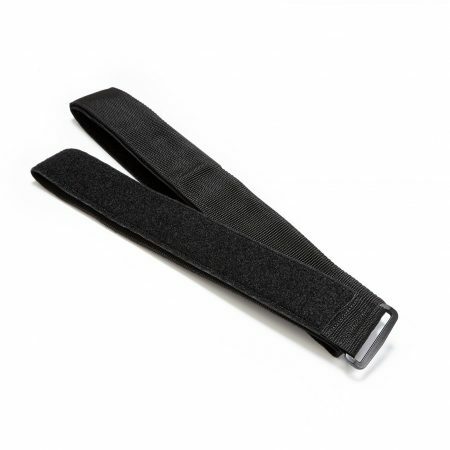 Max Weight Capacity: Supports monitors weighing up to 40 lbs. 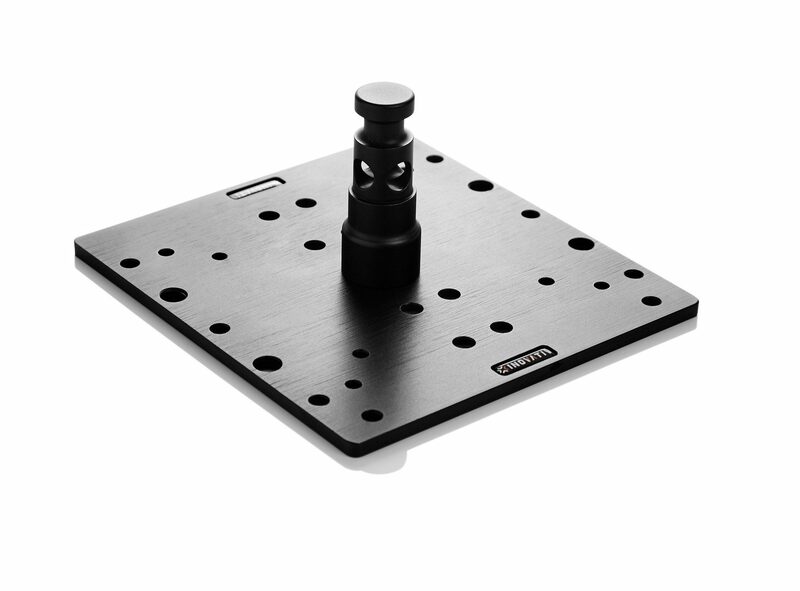 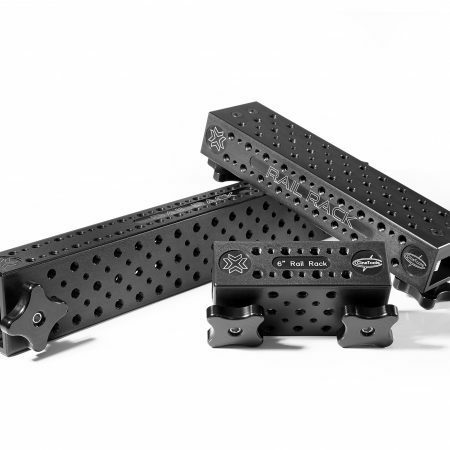 Vesa Plate: Combines 75mm and 100mm vesa plate into one plate. Adjust your Vesa Plate height in 5 different positions located on the Vesa Plate Pin (each adjustment is 1 inch apart). 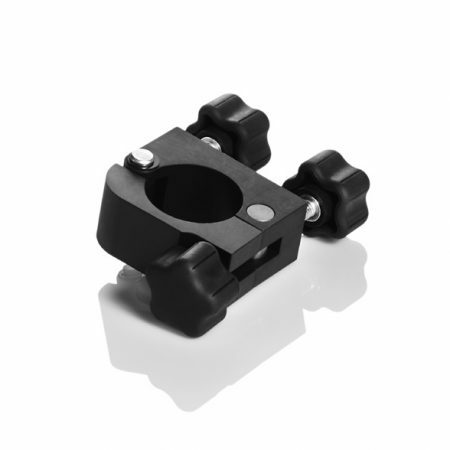 You may also utilize Insight’s Baby Pin Attachment for attaching wireless receivers, wireless transmitters, antennas and other accessories that connect to a baby pin. 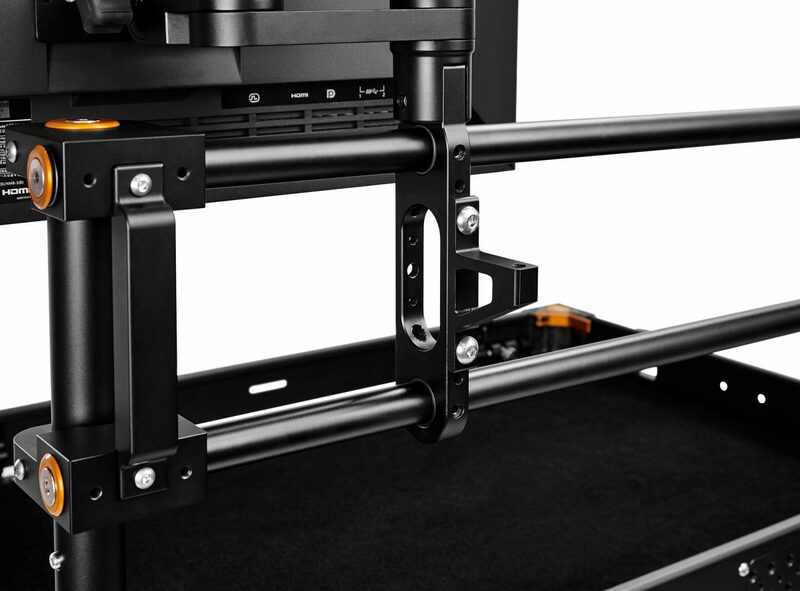 A popular combination is to attach to the System Bracket the Insight’s Baby Pin Attachment and Pro Ultra Monitor Arm so you can support both a monitor and a wireless receiver on the same System Bracket.